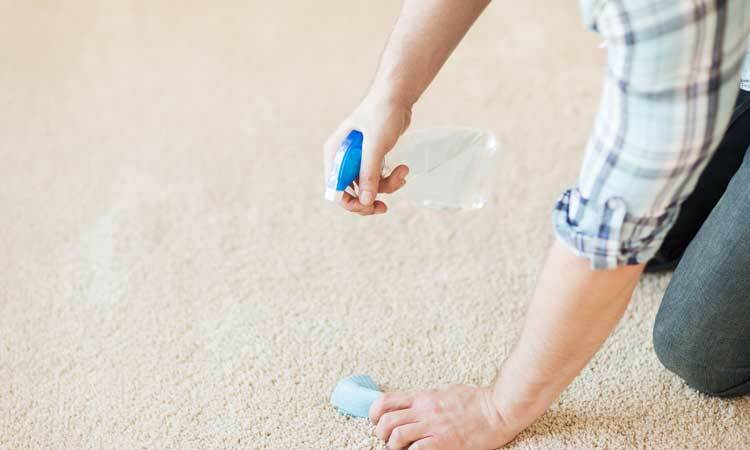 We know that you want to keep your carpet looking great in between our professional cleanings. That’s why we suggest being prepared for the spots before they occur, and that you prepare a DIY Spotting Kit. This way, you’ll always be prepared for those inevitable spills and “oops” moments. These techniques won’t hurt anything or set the stain. However, please be aware that, to their dismay, many homeowners discover that the “using everything under the kitchen sink” approach has caused the stains to set and become permanent. If you use the following procedures and the stain doesn’t come out, STOP and give us a call, let us take it the rest of the way out. We are happy to come out for a spotting service call and remove stains using professional products and techniques that have taken years of training and experience to develop. So, take care of the easy stuff yourself with the procedures we’ve outlined below. But don’t risk damaging your carpet when you can rely on a pro to eliminate your problem and keep your home looking its’ very best! Flaps off a cardboard box. These are to pick up solid waste. A box/tote to place all your materials into for storage. Take both spray bottles and fill them with water. In one of the bottles place 2 tablespoons of liquid laundry detergent. No bleach/bleach alternatives and not for high-efficiency washing machines. Using a white absorbent cloth (never use colored cloth as you can cause dye transfer! ), paper towels or the cardboard flaps scoop up any solid material and then blot. Blot by folding your cloth or paper towels, placing them on top of the wet area and then pushing down with your hand (put your weight into it!) so that the towel will soak up as much of the spill as possible. If you get to spill immediately, you may not need any further spot removal! Apply spotting solution directly to the spot (without over wetting). Agitate GENTLY with a towel or edge of a spoon or your gloved fingers, taking care not to damage the fiber. Take your time! Blot to remove the spotter and the spill by blotting again extract with a wet vac. Check the towel to determine your progress. If you see that you are removing the spill, continue with the above steps no more than 3 times. This is to ensure that the carpet is not over wetted. If some stain remains wait 24 hours and repeat the above steps. After drying, if the stain reappears, it may be because some of the stains remained deep in the pile or entered the backing and “wicked” up to the surface. If so, repeat steps 3-5. If after the second attempt the stain still remains it is time for professional spotting. When a spot is completely removed and completely dry, vacuum or brush the carpet pile to restore texture. If the stain remains professional stain removal is required, give Golden Glove a call at 678-817-0089.